Every year, more than one million people from all over the world fly into western Saudi Arabia to perform Hajj, making it one of the largest annual jumps in global air traffic. 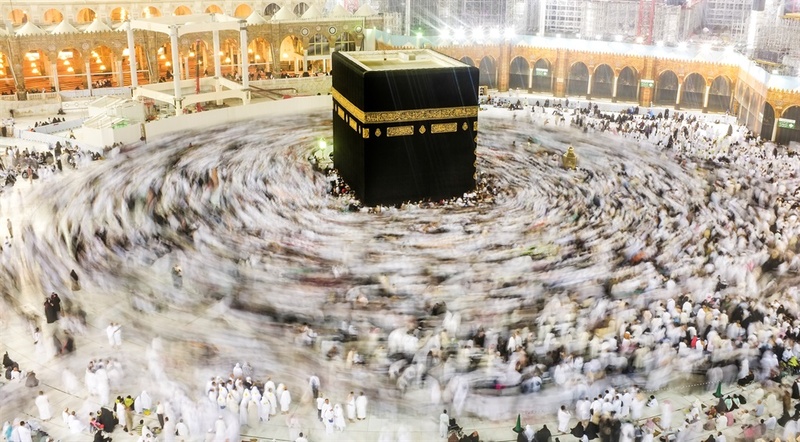 This year, flights to Mecca are up by a massive 20% ahead of the Hajj. With Hajj being one of the five pillars of Islam, all Muslims are obliged to make the Islamic pilgrimage at least once in their lifetimes if they have the means to do so. Over five days, it involves undertaking a series of rituals including trekking through the desert and drinking water from a holy well. To manage the rapid increase in numbers of visitors to the Kingdom of Saudi Arabia, quotas are set for countries based on their population of Muslims. Travelport, a travel commerce platform, recently released the findings of a study that they undertook to analyse this annual spike in air traffic to the holiest locations in Islam. By analysing this year’s bookings made to the airports closest to these locations (King Abdulaziz International Airport in Jeddah, Ta’if Regional Airport in Ta’if and Prince Mohammed Bin Abdulaziz in Medina), visitors mostly came from Pakistan and the United Kingdom respectively. As of 31 July, Pakistan shows the greatest growth in bookings around Mecca when compared to last year’s Hajj with volume up by +61% (13 788 volume increase). The United Kingdom (UK) shows the second highest growth with a +47% (4 324) bump in travellers headed to Saudi Arabia. South Africa, with its fairly large Muslim population has also made it to the list as the second largest African country contingent to make the pilgrimage this year - with 179% (975) growth in bookings. The largest was from Sudan, with an estimated 49% growth and 1 215 visitors. Coming in third with 4 306 bookings is Bahrain which, compared to last year’s comparable data, shows an impressive +173% increase. The United Arab Emirates (UAE) and India round up the top five with a 24% (2 87) and +19% (3b791) increase in bookings respectively.